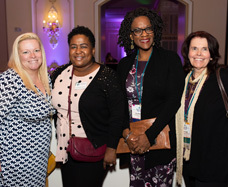 NAWBO is proud to serve as the voice of the nation’s over 10 million women-owned businesses and represent women entrepreneurs in all sectors, sizes and stages of development and at the local level members are encouraged to engage actively with their local chapter to gain access to other women business owners, leadership development and community development. The diversity in our membership strengthens our voice across the country as all women entrepreneurs are encouraged to bring their expertise and insight to the table. 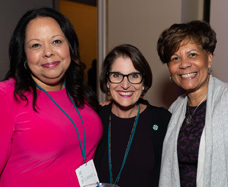 Members of the National Association of Women Business Owners® (NAWBO®) are part of the largest dues paying organization for women entrepreneurs. 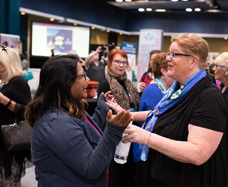 A NAWBO® membership offers women-owned businesses the best of all worlds – connections to a national organization and brand as well as a local platform for their business and their voice and the ability to tap into the power of an already established organization. Voting empowers our members to directly impact the current and future movement of the organization with policies and processes. In order to serve on the local or National Board you must be a voting member. Please refer to the key membership benefit information below. Check with your local chapter for added value local benefits. An Individual or Non-Profit Organization who subscribes to the objectives of NAWBO and wishes to lend support to NAWBO through membership. The individual does not need to be a women business owner in this category. Please refer to the key membership benefit information below.